Learn Mandarin through online Chinese study program - I'd also like to try Beijing's local snacks. Chinese Video Courses >> Beginner Chinese Series 4 >> I'd also like to try Beijing's local snacks. I'd also like to try Beijing's local snacks. Introduction: Practical use of verb repetition through this Mandarin video lesson. I’d also like to try Beijing‘s local snacks. proper n. Guǐ jiē the name of a street in Beijing, where the specialty snacks of Beijing are served. Verbs in Chinese can be repeated consecutively. In this lesson, we're going to learn this structure in the following situations: When an action hasn't been taken, the verb is repeated to ease the tone and express one's wishes politely. Similarly, verbs being repeated behind volitive auxiliary verbs like “想” and “打算” can have the same effect. There are two types of verb repetitions: the repetition of the monosyllabic verbs and the repetition of dual-syllablic verbs. (The repetition of monosyllabic verbs should be arranged in "AA" form or "A---A" form, where A represents monosyllabic verb). The repetition of dual-syllable verbs should be arranged in "ABAB" form (where A and B represent the two syllables in a verb). 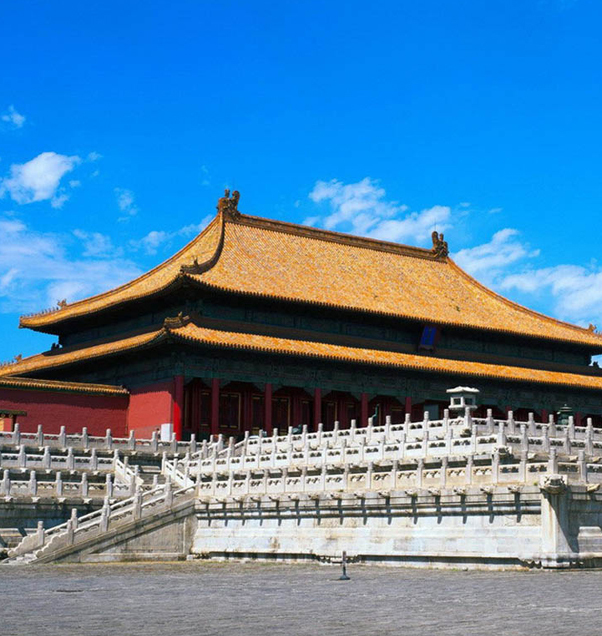 Located in the center of Beijing, the Imperial Palace is popularly known as the Forbidden City. It was first built in 1420 and was the imperial palace for 24 emperors during the Qing and Ming Dynasties. The Imperial Palace is an outstanding masterpiece among the world's ancient architecture. If you plan to visit the Imperial Palace, I can give you some advice. The best time to visit is in April, May and June. During these months, the flowers are in full bloom and are gorgeous. At the Imperial Palace, you will see not only the colorful flowers and lush green trees, but plenty of architectural styles and precious cultural relics displayed in the museum. What would you like to do when you come to Beijing? Would you like to try local snacks or visit places of interest? Hopefully you will enjoy your stay and have fun! In this online Mandarin lesson, you can learn to express your ideas about what you want to do using the verb repetition form. Haha, I think Beijing is really a beautiful place, it's worth a visit. Have you ever been to Beijing? I've been once in Shanghai for business and once in HK-Macau for holiday (but they speak cantonese mostly, heheh..). I would love to visit Beijin one day, as well as many other beautiful places in China! So I think you should learn Chinese well first. If you have any questions, please feel free let me know.